This was an excellent read. 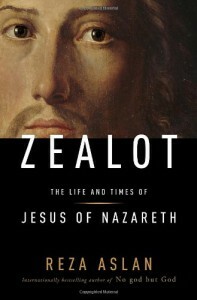 It was more of a history of 1st century Palestine than a biography about Jesus but the research was impeccable and the book as a whole was enlightening. I almost dropped a star because I think the central premise is ridiculous - that Jesus sought to overthrow the current order by wielding zeal as a weapon. I'm pretty adamant that zeal is not a weapon and cannot be wielded. There were a couple other minor inaccuracies that caught my eye but as minor as they were, I won't drop a star for that. The book reinforced my distaste for Paul, an arrogant and delusional douchebag in my humble opinion, and it raised my opinion of Jesus' brother James, who was more prominent than I was aware of and who was a man almost universally respected by the various factions that spent most of their time trying to execute each other. Overall, this was an exceptional book that no history nerd should miss out on. I plan to re-read this one.